Thicker than your average business card, Original sets a new standard for “standard”. With a smooth, uniform finish and excellent print quality, it’s the great value paper that FEELS great. So all your introductions can be super impressive. Matte (1): With a smooth feel. And you can write on it, too. Gloss (2): Eye-catchingly shiny. Great for full-bleed colour photos. We move heaven and earth so you’re happy with your order! 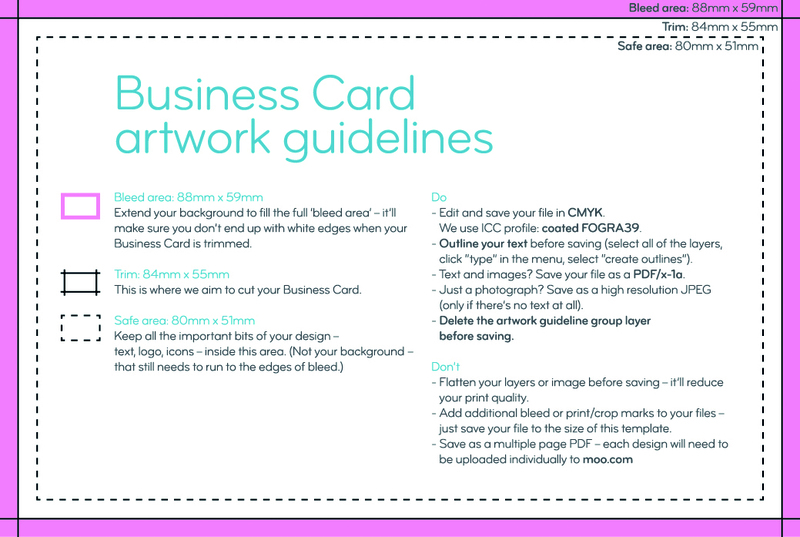 Print a different design on every card for FREE. One pack, lots of images! That’s why they’ve rated us 9.6 out of 10 on Trustpilot. Excellent stuff. They’re both pretty special in their own way (and they’re both free!). No shine or glare. Very smooth to touch. And you can write on it, too. It’s eye-catchingly shiny. And it makes the colours of your images POP. With 50 Business Cards in a pack, you can print a different design on every single one. We call it Printfinity. It means you can show off your photos, products or simply your personality. And it’s totally free. Yes, FREE. Our Original Business Cards are designed to make an instant impact, from the very first hello to that final handshake. Original Business Cards are printed on premium paper, and come with either a smooth matte or shiny gloss finish, so they feel as good as they look. And no matter what your business, we’ve got hundreds of exclusive design templates for you to choose and customise, so you can find a look as unique as you. 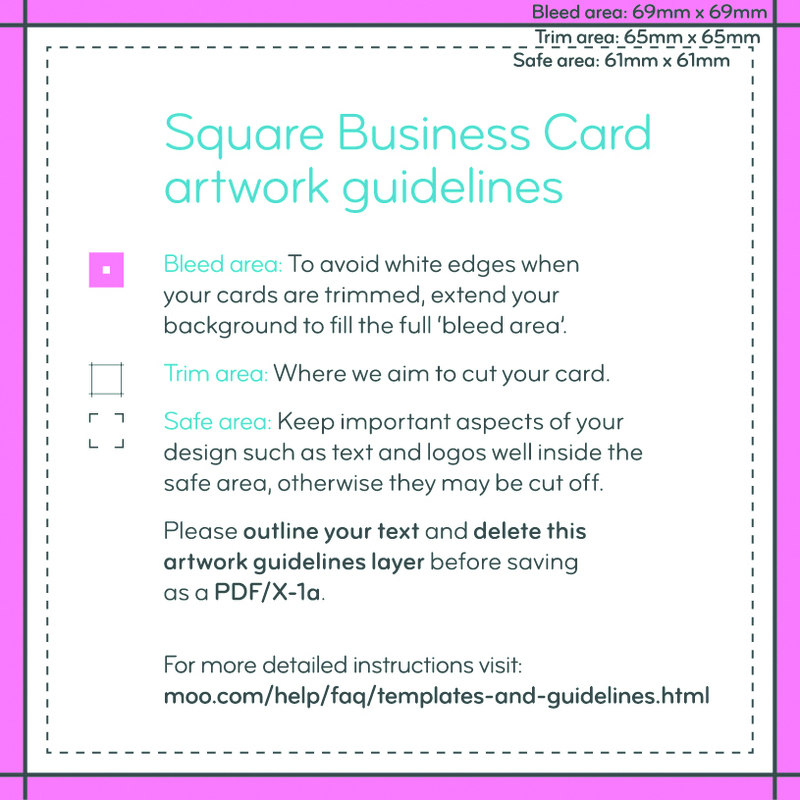 MOO Size or Square, you’ll get a perfect fit for your business. There are good reasons to stock up big on Business Cards. You won't have to worry about running out. You can build a really massive "house of cards” (if you keep your hand steady). And best of all, you'll save a LOAD of money. Get inspired by these 3 awesome customers and the stories behind their businesses – each one of them making an unforgettable impact with Original. Ian Bishop is a bespoke, 3D design artist based in the UK. We caught up with him to explore is inspiration and process: how he goes from brief to a real-life, stunning design. Going round in circles trying to design your business’ logo? For small business owners, design isn’t always your first skill – so if you’re struggling with how to build your visual brand, our pro tips can help. Gloss or matte, extra-thick or super smooth there’s a MOO paper for you.